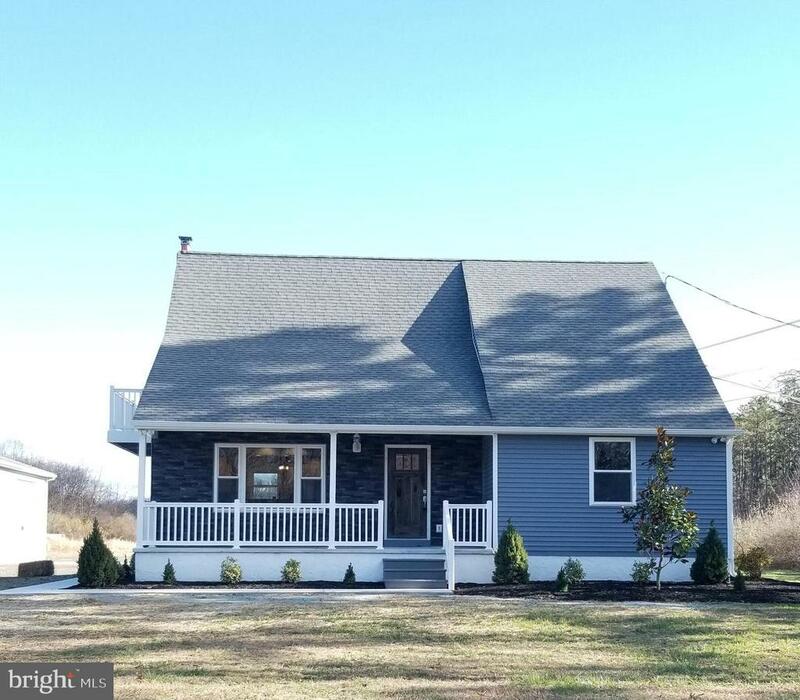 All Franklinville homes currently listed for sale in Franklinville as of 04/22/2019 are shown below. You can change the search criteria at any time by pressing the 'Change Search' button below. If you have any questions or you would like more information about any Franklinville homes for sale or other Franklinville real estate, please contact us and one of our knowledgeable Franklinville REALTORS® would be pleased to assist you. 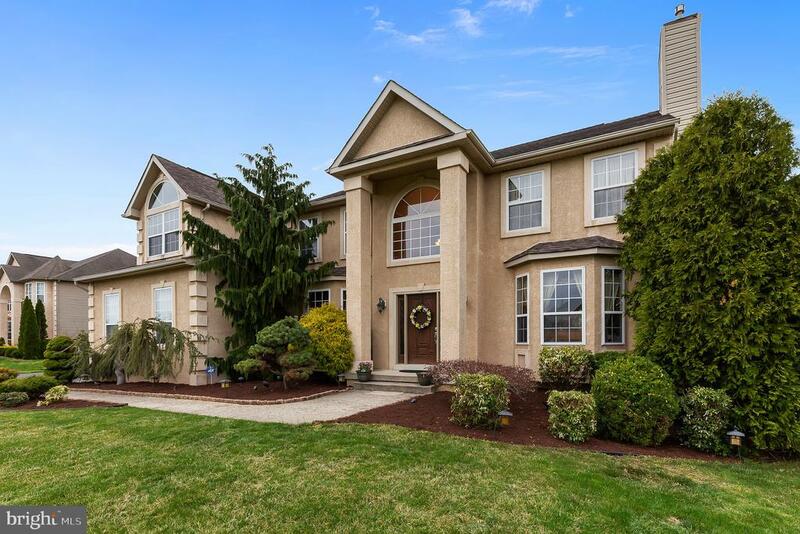 "There is no better location in all of Franklin Township This home is perfectly situated on a private 1 acre+ cul-de-sac lot in the most prestigious development in the area. 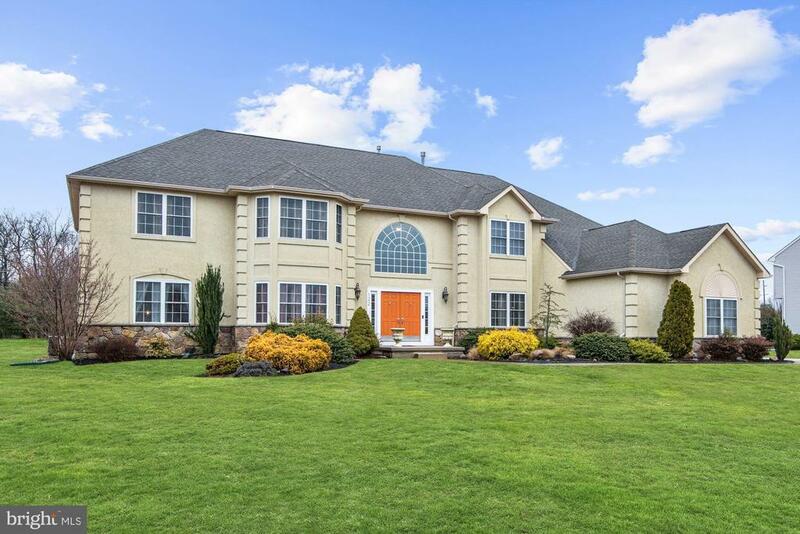 This absolutely stunning executive estate home makes a statement at each turn. Entering through the formal entrance you'll be greeted by the two story main foyer, grand staircase, formal dining and sitting rooms. Matching lighting accents throughout tie the space together with the large windows, bringing plenty of natural light accentuating the refinished hardwood floors and new paint on each wall. Through to the gourmet kitchen with storage for all and then some. Two tone custom cabinetry, high grade granite and subway tile backsplash create an elegance to balance with the grand size of this home. Kitchen also features the oversized morning room that leads to the back patio. Between the dining room and kitchen you find another sitting area, the right side of the first floors powder room and the conservatory space. Functionally could be a theater room, library, garden room etc. Down from the kitchen you see the oversized sunken living room with brand new carpet, gas fireplace and floor to ceiling window array. Off the living room, you have the formal office, a full bathroom, and the formal solarium. This room is surrounded in windows to help create more zen in whatever fashion you see fit. Upstairs there are three wonderful bedrooms to accent the absolutely perfect master suite. Bedrooms three and four are mirrors of one another each featuring large walk in closets and junior studies. The jack and jill bathroom has been redone to feature double vanities and granite countertop. The Junior suite features walk in closet and its own bathroom. The master suite battles the kitchen to be the star of this show; featuring a huge 20 x 18 main space with custom tray ceiling, formal sitting area and massive master bathroom with two vanities , garden tub and double shower. If that wasn't enough you also get a"
"Don't let this one get away! Look no further for your dream home! Enter through beautiful double doors into a grand foyer, that will take you to the dual staircase. As you walk thru you will enter an eat in kitchen with an island and plenty of cabinet space. As you make your way upstairs you will enter the beautiful master bedroom with a huge walk in closet, bathroom as well as a sitting area. This home features cathedral ceilings and a fully finished basement with 9 ft ceilings, which includes a home theater, wet bar, pool table, and a recording studio!! Each bedroom has access to its own bathroom. There is just so much to see. Come on by and see it today, you won't be disappointed!" "Must see! Here's a fantastic home located at the end of a private cul de sac, with open floor plan, 2 story family room, large yard and 3 car garage! The over sized dual stair case, gleaming hardwood floors, nine foot ceilings and beautiful 2 story foyer create an elegant and welcoming entrance. The hardwood floors extend though most of the first level. There is a gourmet kitchen with gas cook top, wall oven, built in microwave, large center island, granite counters 42 inch cabinets, double sink and tile back splash will appeal to the most discerning chef. There is a butler's pantry with granite counters and wine rack between the kitchen and dining room. The formal dining room features chair rail and crown molding. There is a large living room that leads to the incredible conservatory. This 21 by 13 room also has hardwood floors and because it on the side can be used for a multitude of purposes. There is also a first floor office overlooking the backyard. The soaring ceilings of the 2 story family room with 5 foot bump out, gas fireplace and large windows create an energetic room with plenty of light. Upstairs you will find a wide hallway overlooking the family room, upgraded banister and wide stair case. The master bedroom features a raised 3 sided gas fireplace in between the master bedroom and large sitting room which can be enjoyed from all angles. The large master bathroom has tile floor and shower, large double vanity and jacuzzi tub. The other 3 bedrooms are large and offer plenty of closet space. The walkout basement with stairs has 9 foot ceilings and can be finished for even more great entertaining space. There are 2 elevated crawl spaces for storage but feature such high ceilings they could conceivably be finished as another room. There is a large yard, 3 car side entry garage and large driveway. Be sure to put this home on your list. You will be amazed by size, layout and location!" "Price reduced. Owner says SELL! Bring all offers on this gorgeous 5 bedroom home with 5 baths situated on a premium one acre lot in an exceptional neighborhood. The first floor consists of a foyer that opens to the second floor with a curved staircase, kitchen and breakfast area that is open to the family room with fireplace, a formal dining room, a formal living room, conservatory, pantry/laundry room, 3 car garage, guest suite, and a full bath. The second floor consists of four bedrooms and 3 full baths. The master bedroom has a sitting area and study area, his and her walk in closets, bathroom with whirlpool tub, walk in shower, and two separate vanities. Second bedroom has a private bath and the other two bedrooms share a bath. The full finished basement, with full bath, moves the finished living area to over 5,500 sq. ft."
"HUGE REDUCTION! Turn key home waiting for you! No expense was spared! Serene with tons of privacy and land. 14 Acres with house and an additional 7 acres farm assessed land for a total of 21 acres! Set back off the road with long driveway and tons of parking. Over-sized 4 car garage with 2 bays and attached car port. Front porch with new white vinyl rail and beautiful new front door. Brand new hardwood floors through out main floor and on stairs leading to second story. 6 panel doors though-out, new carpet in all bedrooms. Large living room with vaulted ceilings and 2 rustic chandeliers. Open floor plan leads to fully renovated kitchen with antique white cabinets, stainless steel (Samsung) appliance package, granite counter top, farm house sink, island with electric and recessed lighting. Dining room attached to kitchen with rustic chandelier and new slider leading to your patio/ back yard. 2 large bedrooms on main floor with full renovated bath. Head upstairs to your master bedroom with new slider leading to composite deck/ balcony. Master bathroom has been fully remodeled with walk in shower with multiple shower heads, double vanity, recessed lighting and tile floors. 2nd bedroom is a generous sized room with 2 closets (1 walk in). Bonus room in basement is finished with closet. There is also a large unfinished area for storage with bilco doors that lead to back yard. Fenced, in-ground pool. Call today for your private tour!" "BACK TO ACTIVE! BUYERS MORTGAGE FELL THROUGH! 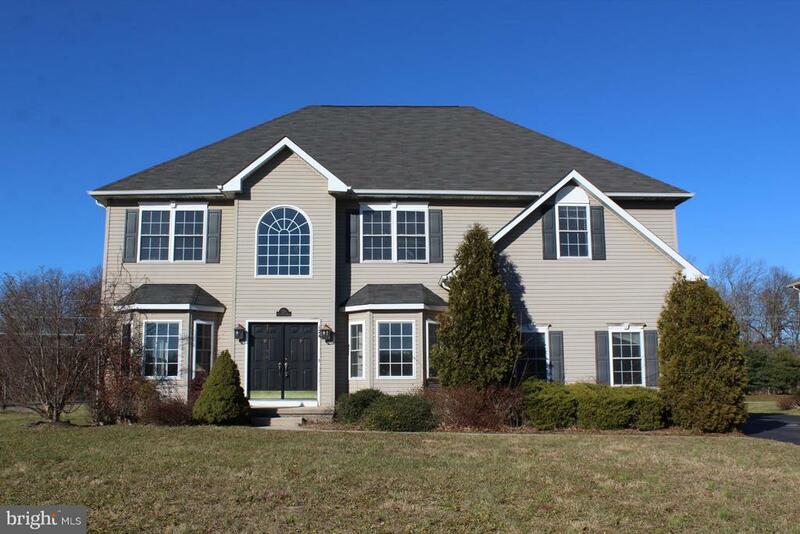 Welcome Home to this beautifully designed and landscaped Exeter Colonial Model Home offering 5 spacious bedrooms and 4 full baths on 1.5 Acres! Equipped with energy efficient Solar Panels and a backup 10-second-delay home generator that will come in handy in time of need. Upon entry in the Grand Foyer you are met with vaulted ceilings, a striking chandelier, and gorgeous staircase adorned with ornate iron railings leading to the second floor. The main level has an open floor plan with good flow for entertainment and featuring an In-Law Suite with a Full Bathroom. There is a large Great Room including vaulted ceiling, ceiling fan, a cozy Gas Fireplace, and access to a back staircase to the second floor. An impressive Tuscan style Kitchen is a delight with Stone accents, Stainless Steel Appliances, Granite Counters, Under Cabinet Lighting, Walk-In Pantry, Recessed Lighting and Wood Flooring. The Formal Dining Room area has wood flooring and is adorned with crown molding, chair rail and large pillars that lead you into the Living Room. The Living Room with Wood Flooring and Recessed Lighting, accesses the bright and welcoming Sunroom with tucked away Pocket Doors, Cathedral Ceiling, Marble Flooring, Ceiling Fan, and a patio door that leads to the Backyard Patio and Pool. The second floor has a large hallway off of the Master Bedroom En Suite with cathedral ceiling, Comfortable Sitting Area, Large Walk-In Closet, custom Ceiling Fan. EnSuite Full Bath with a Whirlpool Tub, Double Sinks, Skylight, and Heat Lamp. The second, third, and forth bedrooms on the second floor are generous in size and includes walk in closets. The Walkout Basement is an entertainment space to be coveted also featuring a full bathroom. The Backyard Oasis with Brick Paver Patio, Custom In-Ground Swimming Pool, Pool House, Shed, and Sand Beach area allow for a backyard vacation everyday! Take advantage of a stroll along the nature walking trail"
"No need to look any more! This stately home has all you could possibly need AND at an affordable price tag. 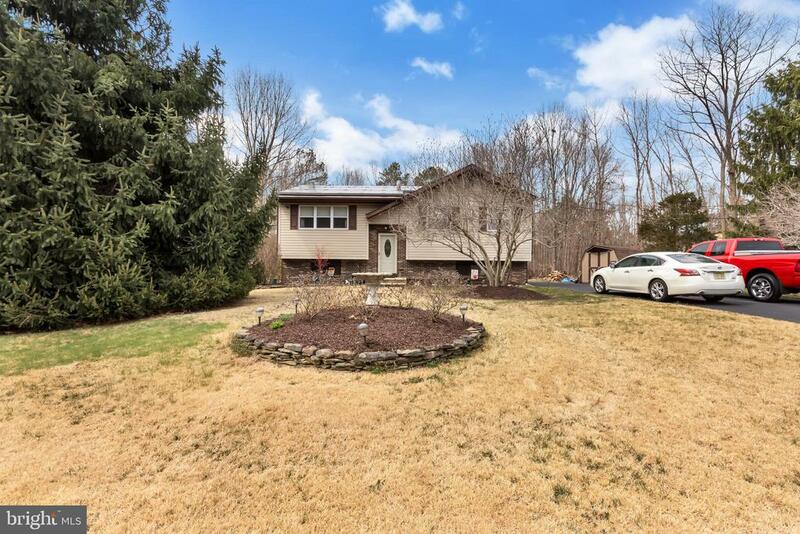 Perfectly located for your family in the desirable Franklin Twp school district and situated on 1 acre of land fully fenced in for your future in-ground pool. Upon entering your greeted by the grand 2-story foyer with gorgeous hardwood oak flooring. To your right is your relaxing formal living room with white crown molding and gas marble fireplace. To your left is your large formal dining room with bay window, chair rail, crown molding, and decorative pillars sure to impress all your out of town guests. The open kitchen and family room make a great space to entertain. Plenty of natural light shines through and provides a beautiful view of your backyard. The 4ft extended kitchen gives the household chef all the room they could ask for. Custom 42~ Oak cabinets with crown molding, large island work space, corian countertops, and tile backsplash make this kitchen a dream. For all those moms or work-from-home parents the bonus room off the kitchen is the perfect place for your play room and toys or office. The second floor provides 3 generously sized rooms and your master suite with vaulted ceiling, sitting/nursery area, and large walk-in closet. Your master bath features tile flooring, stand-up shower and corner soaking tub. We saved the best for last with this absolutely to-die-for finished basement. Providing the ultimate place for entertainment with pool table area with wet bar, ~ bath, bonus room, and movie theater room with projector screen and 2 rows of leather recliner seating. You may never want to venture outside but please do! Your just in time to enjoy your fully fenced in yard, with paver patio, playground, and peaceful koi pond this summer. All the room you could ask for bbq~s and yard games or your future in-ground pool. Lets not forget your 2.5 car garage, front yard sprinkler system, and more. Call for your personal tour this one won~t last to Sum"
"A lot of potential on 18.44 fenced acres. Currently used as a tree nursery, and there is a single family home, with 3 bedrooms, 1 bath, 2 detached garages and a newer submersible drinking well. There are horse farms all around with riding trails throughout the 18 acres. The front lot (lot 44) is 10 acres and the back lot (lot45) is 8.44 acres. The first acre is residential, the remaining 17.44 acres are being tax accessed as Qualified Farm (Q-Farm). Numerous possibilities: tree nursery, horse farm, vineyard, farming, equestrian center, veterinarian clinic, subdivide and build. Both house and garage need TLC and are being sold as-is. Lot 45 is mostly wooded; located in Frankinville Rural Residential Zone (PR-R). 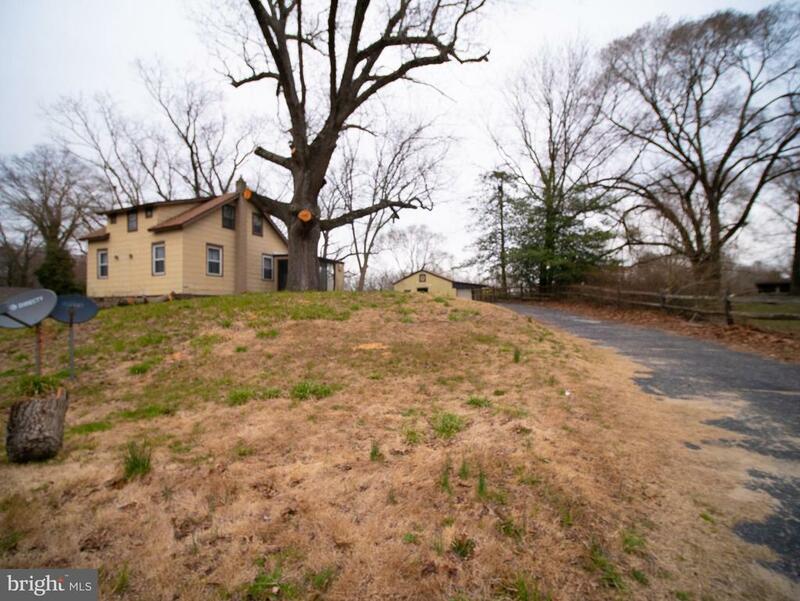 Zoning allows for existing lots of record 3.4 acres minimum to build. There are possibilities for other clustering new construction on smaller future subdivided parcels. Analysis on a case-to-case basis. Buyer responsible for all inspections and certifications." "CUSTOM DESIGNED HOME made to owners specifications. Beautiful maintenance free exterior with Trex type decking on rear off family room. Awesome master bedroom with en-suite bath. Bath has whirlpool tub with skylight above. 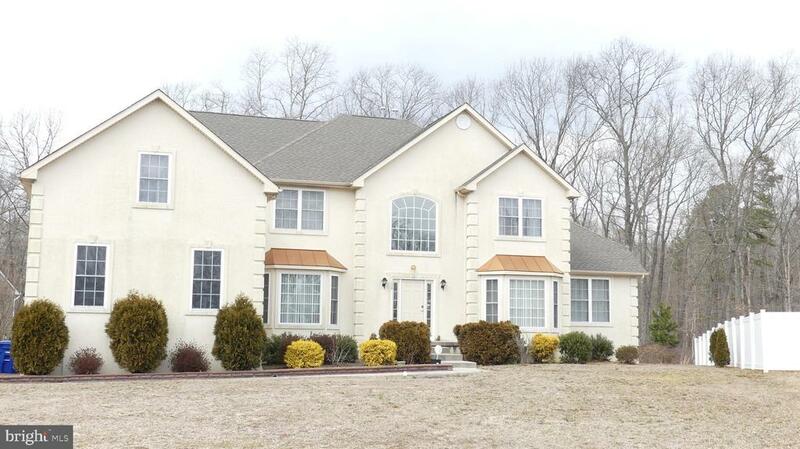 Well maintained property on 3+ acre with underground sprinkler system. Large 2 car garage with room enough for a workshop .... or just trot down the basement stairs from the garage and set up your dream workshop or finish the 1000 sq. ft. of basement for more living space." 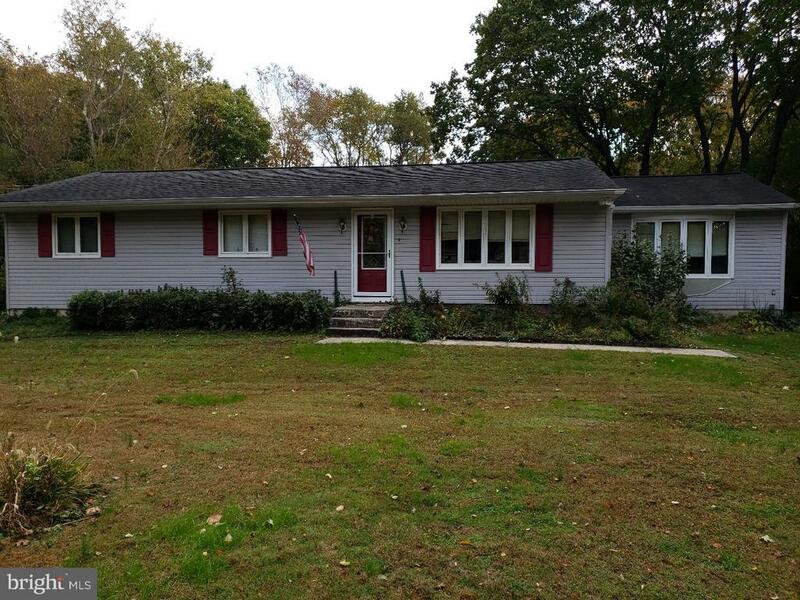 "Welcome to Franklinville NJ where you will find this beautiful 1.0 Acres w/2 Story 3 bed 2.5 bath Single Family Home as well as 2 bed 1 bath guest house & out buildings. Also included in sale 14.65 Acre Qfarm with Pole barn used for Hay farm. GOOD NEWS ~ there is a GAS line that runs down drive & can be converted to both homes. Photos coming for interior of guest house. Main House Roof 2012, Front Porch & Chimney rebuilt 2012-13. Guest House Roof estimate 2015. Well was redug 15 years, Septic just serviced. 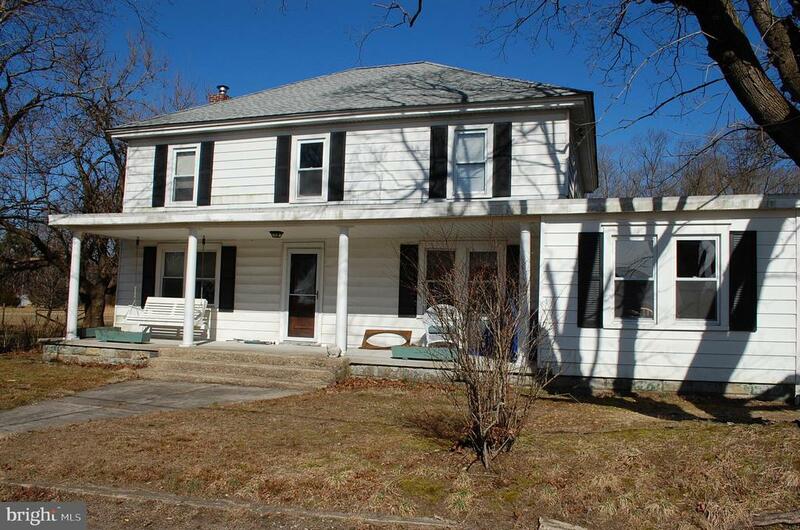 Zoned Commercial Agriculture per Zoning Analysis April 2006"
"Welcome to Franklinville NJ where you will find this awesome PROPERTY ~ 1.0 Acres w/2 Story 3 bed 2.5 bath Single Family Home as well as 2 bed 1 bath guest house & out buildings. Also included in sale 14.65 Acre Qfarm with Pole barn used for Hay farm. GOOD NEWS ~ there is a GAS line that runs down drive & can be converted to both homes. Photos coming for interior of guest house. Main House Roof 2012, Front Porch & Chimney rebuilt 2012-13. Guest House Roof estimate 2015. Well was redug 15 years, Septic just serviced. Zoned Commercial Agriculture per Zoning Analysis April 2006"
"Horse lovers or land lovers. Check out this very unique property. On 4.7 acres, consisting of 3 buildings and plenty of land. First building is a 55' x 80' building that has a large inside riding area and 7 horse stalls. Another building, approximately 40' x 40', has 8 horse stalls and a separate garage. The 3rd building is a 3 bedroom, 1 bath home. Subdivision possible." 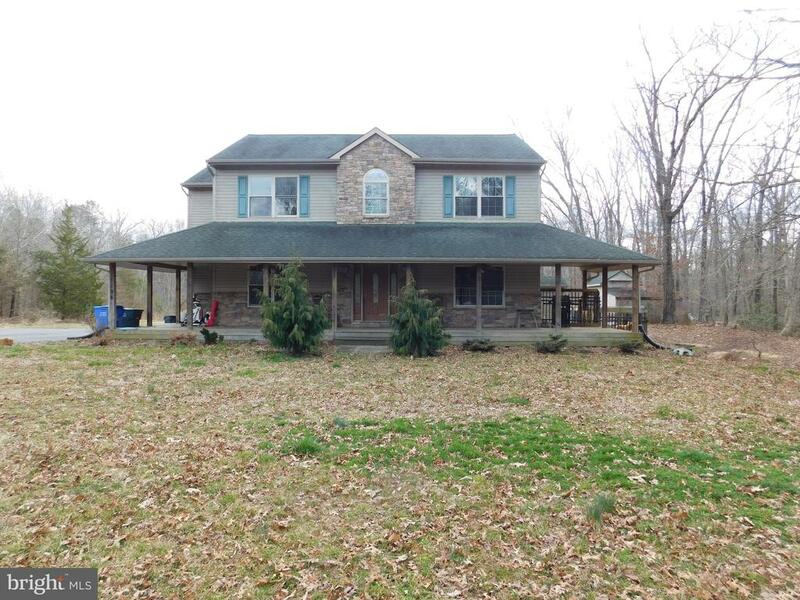 "This custom built home is on 4.5 acres and backs to woods. The large oversized pole barn is 20 ft high. Great for someone who works on vehicles or needs storage with a high ceiling. Home has a wrap around front porch. Kitchen has 42 cabinets and breakfast area. there's a bedroom on the first floor that can be used as an office if needed. There is a huge basement that has an entrance to walk outside." "Wow, What a home. These owners had this home built for themselves, so you know it was done right. 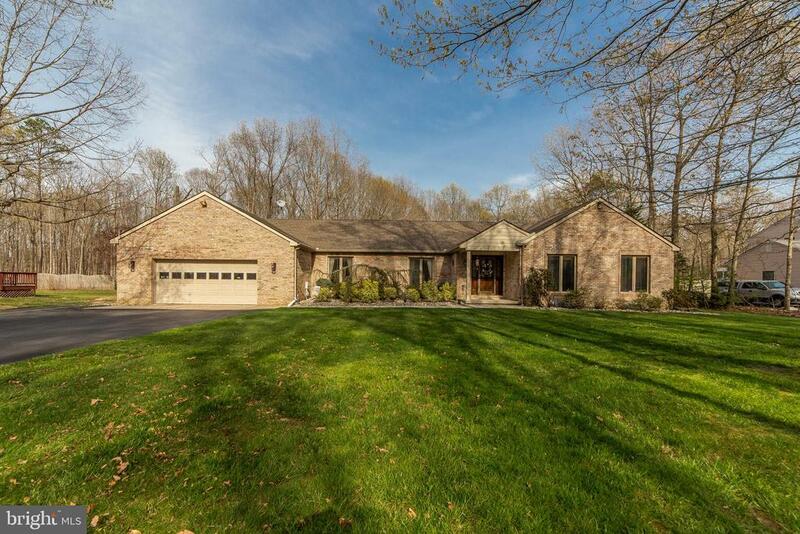 True pride in ownership is what you get with this Beautiful center hall colonial nestled far back of the road on this private 3 acres parcel. As you walk up to the full front porch and into the foyer this home offers you a full size living and dinning room area. The Kitchen is huge with an L shape island, which is the perfect breakfast bar and hardwood like laminate floors. The family room is just off the kitchen area and access to the 2 car attached Garage. The upper level offers 3 generous size bedrooms and the master have its own sitting room, master bath and walk in closet. The laundry room is on the upper floor which provides the best in conveyance. The walk out basement has 9 ft. ceilings, super walls and is a walk up basement which is partial finish with a wood stove that is great for heating the house. If you~re looking for privacy this is such a great home with a 64 x 30 detached pole barn garage and a 36 x 18 built in car port, a 24 x 12 shed with large dog run and all of this is nestled at the ending of the road with views of a horse farm and wood. If you~re looking for a spot to tinker, or you want a beautiful home with plenty of privacy don~t wait too long this is the one!!" "Welcome to this Open floor plan 4 Bedroom 2 1/2 Bath home. Featuring Cathedral ceilings, recessed lighting, Gas vent free fireplace with the Master Suite with soaking tub and walk in closet, all on the first floor.This home also features a full basement with 9 ft ceilings, solar panels, a Trex Deck off the spacious eat in kitchen. Laundry room on the 1st floor. 2 Car garage with electric openers. PEX water system. Water pressure tank was replaced in 2018 Well pump replaced in 2018. Water Treatment system. And equipped with a Security System." "Custom Built Sprawling Rancher with many amenities and a full basement. Possible In-Law suite, multi-zoned heat and air. Hardwood floors and ceramic tiles. Fireplace and ramp just some of the many features. Heated in ground pool and large deck. 3 car garage with heat and electric. Needs work. Being sold as-is. Seller will turn on utilities. Buyer is responsible for all certs." "Settled in the woods, this custom built rustic home has many amenities situated on 1.6 acres. This one level living, owner built and maintained. Kitchen countertops are top grade granite with 2x2 tile backsplash circling the kitchen. Breakfast bar area and upgraded appliances. Large pantry closet. Family Room has a brick fireplace, accented ceiling beams, track-lighting and a corner builtin bar with granite top. Dining room and formal living room have Oak Hardwood floors and designer molding with vaulted ceilings. Hallways are designed with tile and oak hardwood floor. All Bedrooms and den/office are carpeted. 2 full updated bathrooms. Kitchen floor is LVT.New insulated Anderson sliding doors installed 2 years ago. Fenced in backyard is landscaped with indigenous plants surrounding large kidney shape in-ground pool, new liner, pool heaterinstalled 2012 and pump replaced 2018 and separate pool bathhouse equipped with shower, toilet, sink and changing area. Three quarter basement, new heater, hot water and central air. New water pump. Most windows updated, vinyl clad windows." "Got Horses?? 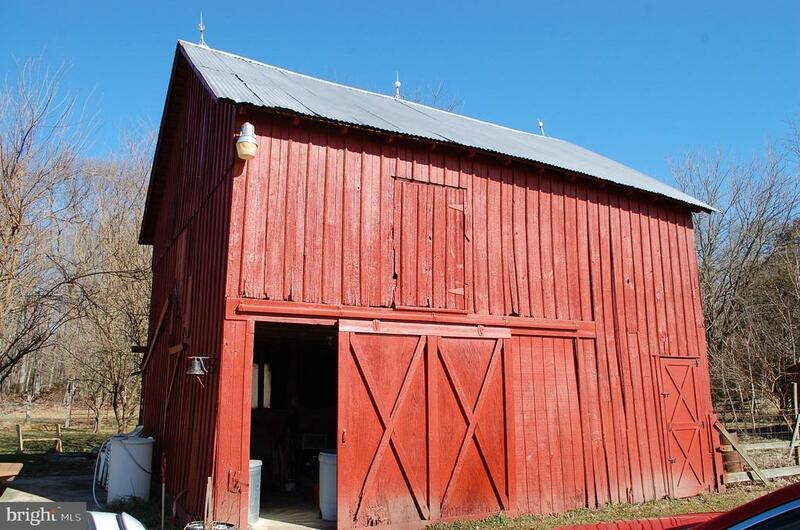 This home has a huge barn with over 15 stalls and sits on 6.9 acres of land. Yes the barn has open stalls and a tact room with new lighting and electric in the barn. The barn just had a new roof installed. 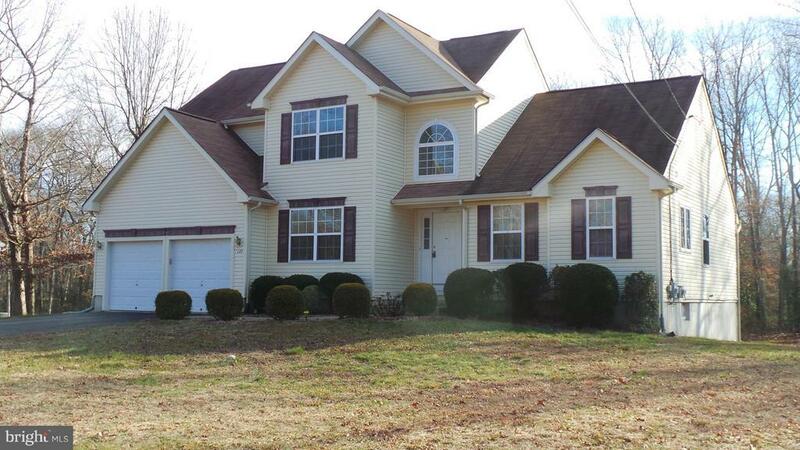 This home is spotless and has 4 bedrooms with 1 and half baths. The home has new kitchen with granite counter tops and stainless steel appliances. 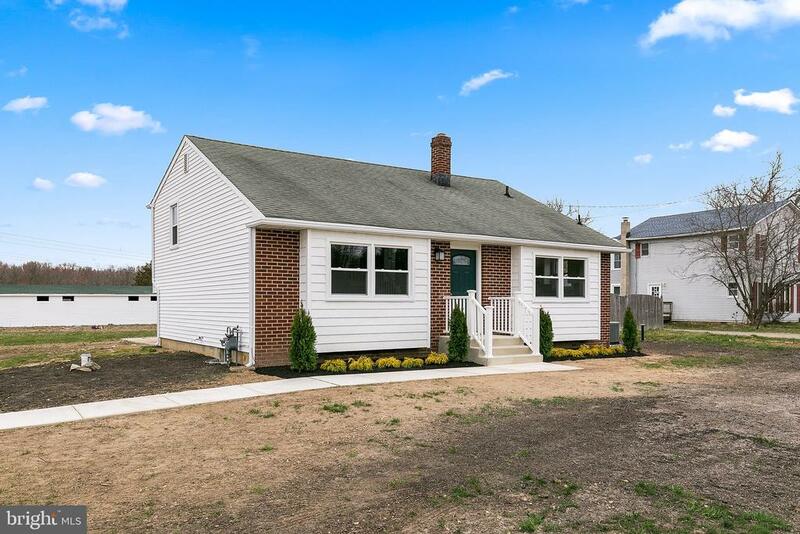 You don't want to miss out on this totally renovated home. 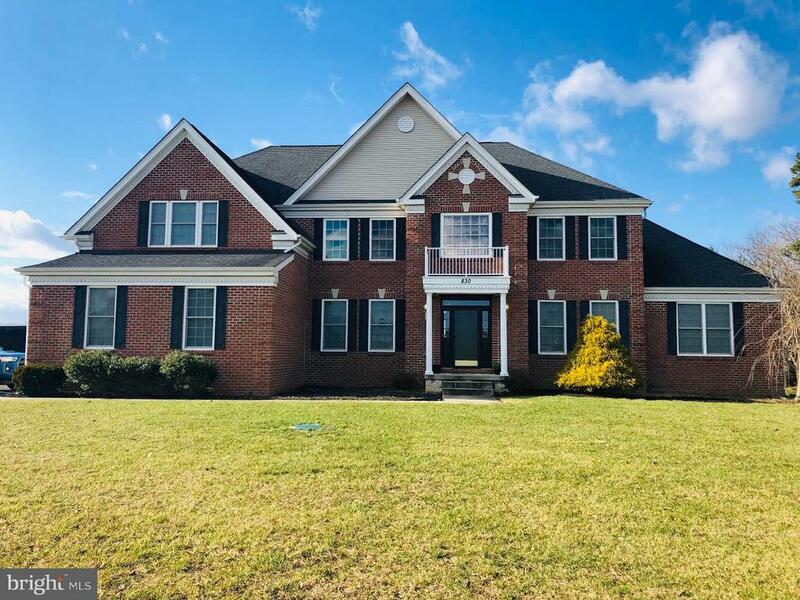 Call today to see your new home..."
"fantastic 2 story with large foyer area, french doors to 1st floor office, formal living and dining rooms, eat in kitchen features center island, family room with fireplace. 5 bedrooms up with on suite master sitting area and luxury bath. full basement, 2 car side entry garage all on 3/4 acre lot." 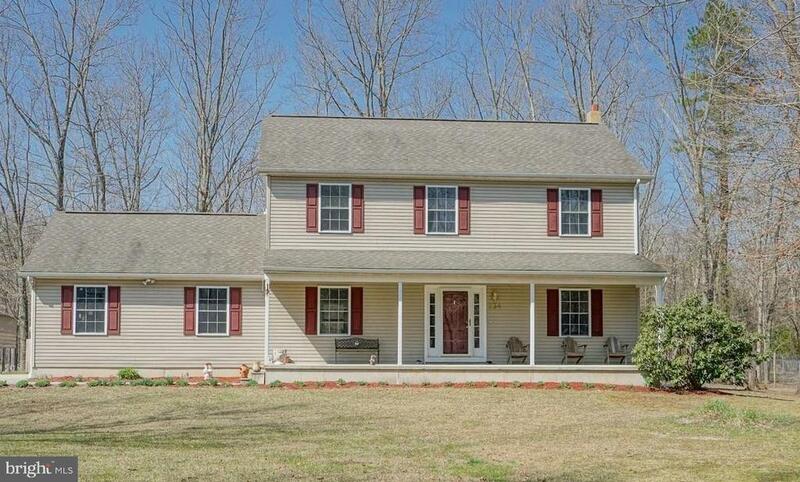 "Spacious, Colonial Style, Home for Sale in Franklinville. The Interior with 2,827 Sq. Ft. of Living Space, Living Room, Dining Room, Kitchen, Family Room, Four Bedrooms, Three and One Half Bathrooms, and Full Basement. Property info. is estimated." 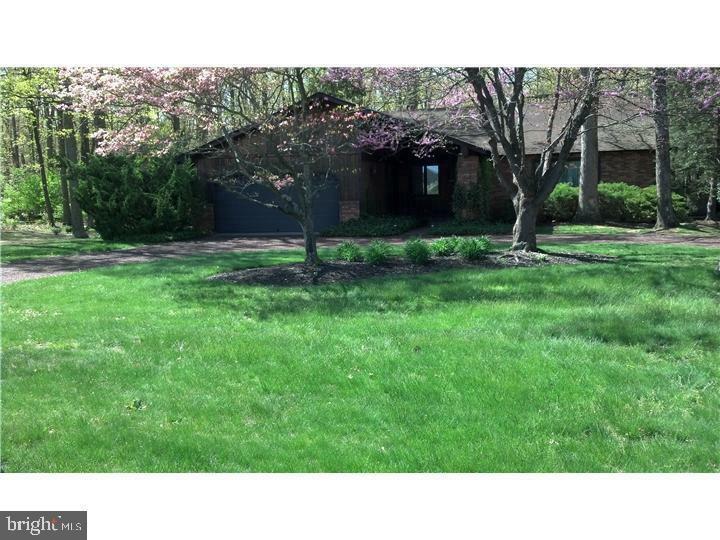 "Here's your chance to own this fantastic home in the quiet Blue Bell Acres neighborhood in Franklin Township. This 3 bedroom 1 bathroom split level has been almost entirely updated over the past 10 years. Newer roof, AC, furnace, windows, siding, paint, flooring, and much more. Currently oil heat but gas line was run in 2018 and can be converted easily. Solar panels were added in 2017 to give your wallet a break on the electric bills. 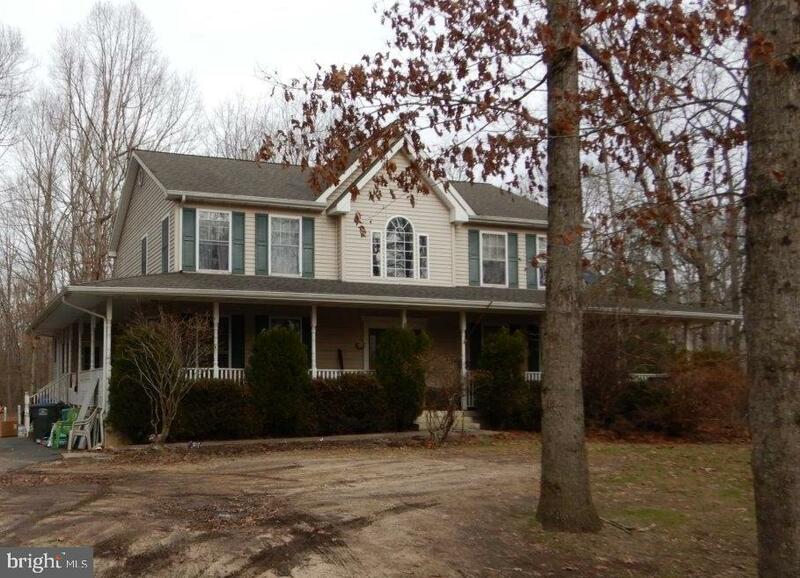 The house sits on a great 1+ acre corner lot with second driveway and 2 sheds. 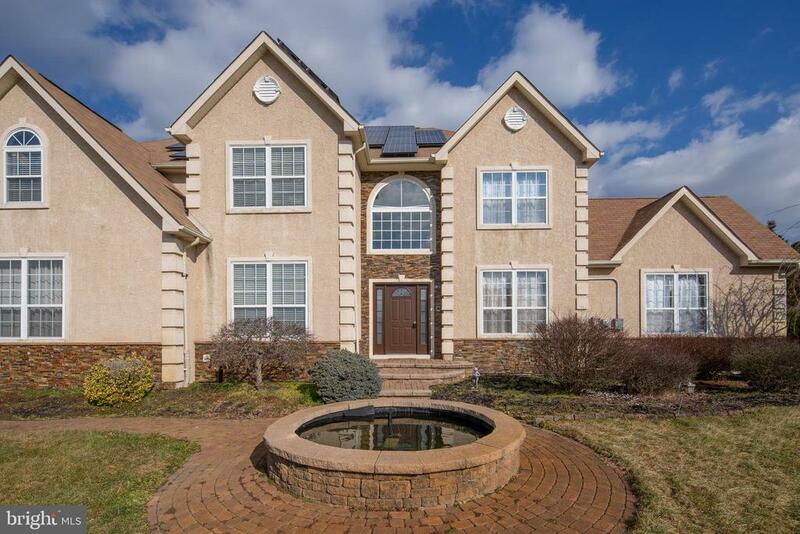 Make an appointment today to see this wonderful property." "Brand new home to be built with 10 year home buyer warranty. Pick your colors and customize your home to your needs. 3 bedroom, 2 full baths. Make appointment to take a factory tour. Additional features may be added such as garage, fireplace, or even finish the giant walk out & daylit lower level into family room, bedrooms, office and more! Home includes solid 2 x 6 wall construction, wood deck, 6 panel interior doors, Energy efficient low E tilt in vinyl windows, 200 AMP electrical service, low maintenance exterior with capped soffits & trim, cultured marble vanity tops in 2 full baths, energy saving high efficiency heat & central air and more! 6-8 month delicery. Other floor plans also to choose from. Real estate taxes to be assessed. Picture is of this home built in a different location. Online 8 minute walk through video tour available. Property is eligible for 100% Rural Housing Financing!" 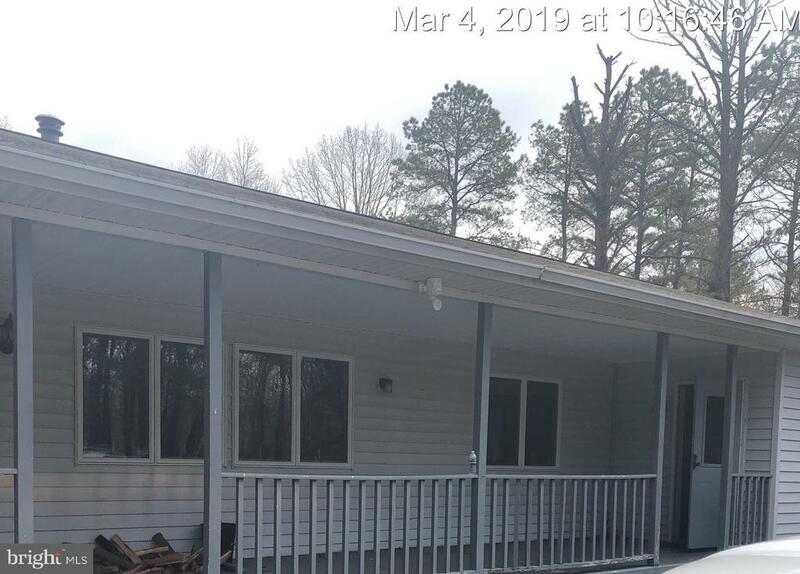 "Move-in ready 3 bed 2 full bath rancher on 1+ acer fenced lotat end of cul-de-sac. Privacy, no neighbors on left or rear.Exterior and interior updated with stone fire place, quartz counter tops and table. Open floor plan. Generac backup generatorwith 9 years left on maintainance contract. Perfect for someone looking to downsize or starting a family. Must see, very nice and private.Glass doors lead to stone patio from kitchen, rear yard fenced for the pets. Hurry won't last." 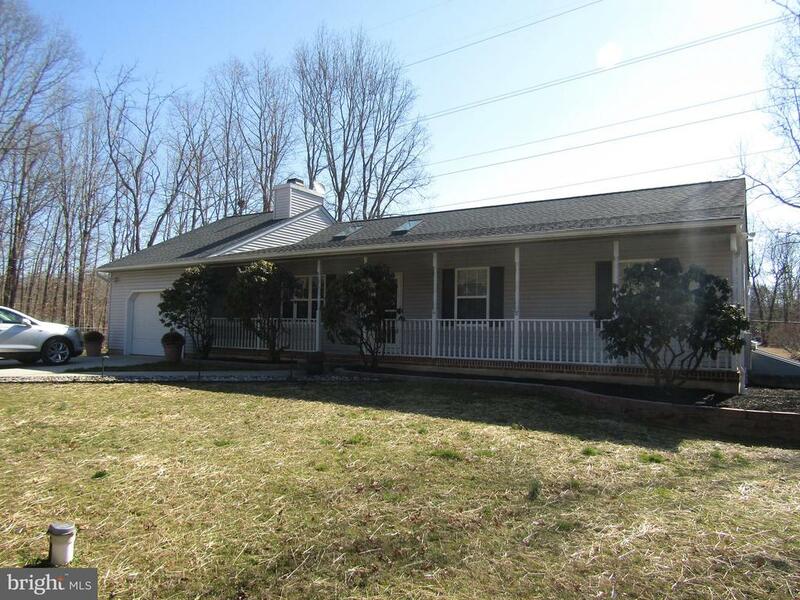 "Large spacious Rancher/ Ranchette situated on just under 1 acre of land in Franklin Twp. Home features a large kitchen, with 3 nice sized bedrooms, gas fireplace, and Sun room that leads out onto deck with a beautiful view of backyard."